Now that you have answered some questions related to your knowledge, skills and experiences necessary to become an athletic director, it is also important to determine where you fit best in the athletic landscape. The following three questions, and your answers, will go a long way towards defining your values and how you go about your business on a daily basis. 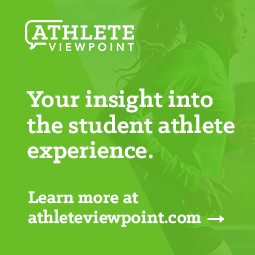 The ability to explain these personal answers will provide specific insights about your fit as an athletic director at various types of institutions. 1) What is your personal philosophy related to athletics? The answer to this question starts to narrow the field of which jobs you should consider and for which jobs you will be viable. Developing views on academics, competing for championships, resource allocation and rules compliance shows you have the critical thinking skills necessary to become an AD. Do you view athletics as a business or educational enterprise? Who and what will be your primary focus as an AD? This should be easy for you to articulate. If not, you have to start developing your views. 2) What are your personal core values and what are the core values of an athletic program under your leadership? Do your values align with the values of the institution at which you are seeking to work? I have interviewed head coaching candidates and asked “What are your core values?” Numerous times, the individual I was interviewing was unable to answer that question. Stumbling over something this personal shows a significant lack of introspection and is a red flag. It is important to know who you are since you will face many difficult decisions and your core beliefs will influence the toughest choices. 3) What experiences can you point to that inform why you would be a good fit at a particular school? There is more to being hired as an athletic director than winning the press conference, but being able to craft a plausible, logical, and passionate explanation for the public about how you were chosen is a good way to judge if you could fit and be hired at a particular institution. You will hopefully sound like the person that was an obvious choice – either because the institution wants to continue on the path it has been on, or it wants a significant change in direction and you provide a contrast to previous leadership. For example, if a school is winning conference titles on a regular basis and has high academic achievement, the institution may want someone who can continue that trend. But if an institution is facing significant NCAA violations, a background in compliance may be considered a tremendous asset. In nearly every case, an athletic department is a microcosm of the institution of which it is a part. Alignment with the institution’s current values, or with values they are seeking to develop under new leadership, could save you heartache and difficulty both in a search and after you arrive on a campus. Just as teams take on the personality of their head coach, an athletic program will take on your personality. Your ability to answer these three questions can help a search committee and president figure out if you are a fit for their institution. If their institutional values and yours align, you’ll be that much more viable for the position. Being able to articulate your values, philosophy and experiences, will create separators from other candidates that are crucial in the selection process.